The Green Phoenix Gallery celebrates spring and welcomes Sharon Stockley, jewelry and metalwork artist, during April. The Green Phoenix Gallery will provide a wide array of hand created art jewelry by artist Sharon Stockley. Her creations are perfect as a unique gift for someone special (or yourself). After earning a BFA at Maryland Institute College of Art, with a focus on Painting and Life Drawing, Sharon also took classes in glass bead making at Touchstone Center for Crafts in Pennsylvania. Fascinated by the effects of fire on glass and metals, Sharon passionately pursued experimentation with these materials. Thus, Wildfire was born. Wildfire is Sharon’s line of art jewelry. Created with torch and kiln (fire), she observes her materials while under heat and lets them speak (go wild); then guides, pushes and pulls them into becoming beautiful pieces of jewelry. Today, Sharon has her studio at Le Hatchery in Easton, has works in private collections throughout the United States, England, Japan and Australia, and also teaches. 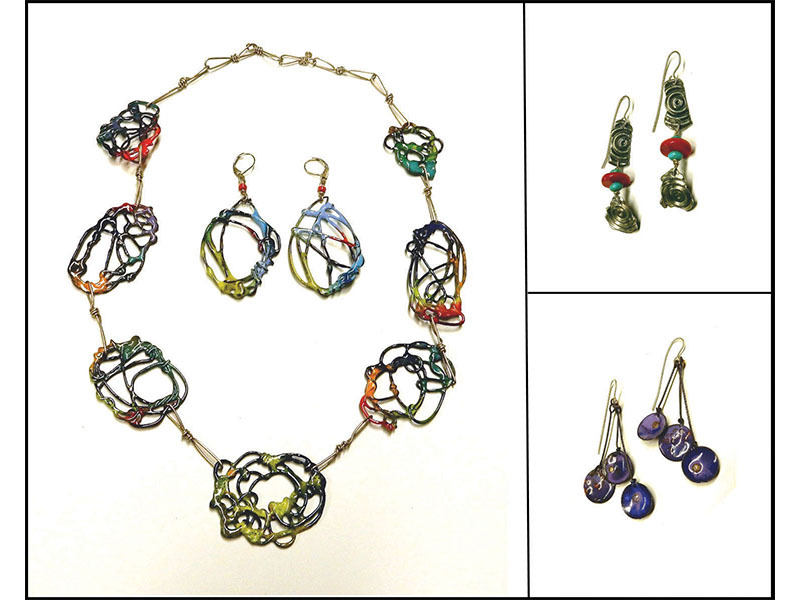 Sharon Stockley will demonstrate her jewelry making techniques on First Friday, April 5 at The Green Phoenix Gallery in Easton. Gallery owner Andi Tassencourt invites the public to The Green Phoenix on First Friday, April 5, from 5 to 8 pm, to meet Sharon, watch a demonstration, shop her newest works, and to enjoy some wine, finger foods, good company and conversation. And Frivolous Fibers Yarn Boutique, located inside The Green Phoenix Gallery, adds even more interest, featuring an ever-changing collection of its own line of gorgeous, hand-spun, and hand-dyed yarns. The Green Phoenix Gallery is located at 31 North Harrison Street in downtown Easton and is open Monday through Saturday from 10 a.m. to 5 p.m. For more information, call 410-822-7554 or visit www.facebook.com/greenphoenixgallery.